Welcome to the Gift of the Waters Pageant! VID00002 In 1896, members of the Shoshone and Arapahoe Nations entered into a treaty with the US Government and ceded 0.0.0.0.0.0.0.0.0.0.land which includes the Big Horn Hot Springs. In commemoration of this event, Marie Montabe, who had lived with the Shoshone people on the Wind River Indian Reservation, wrote “Gift of the Waters: Historical Indian Pageant”. It was first presented at Hot Springs State Park in October, 1925. This Pageant continues today, and is produced every year on the first Saturday and Sunday in August. 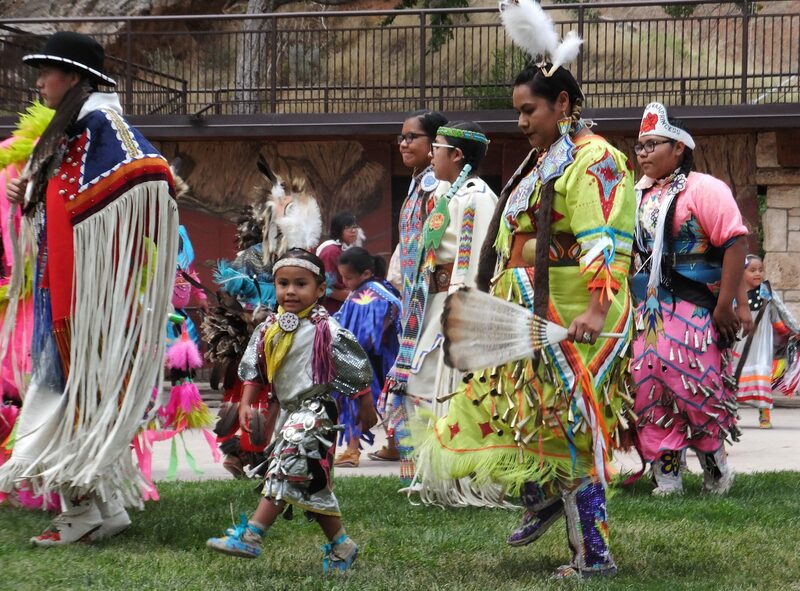 Local Native Americans participate and dance in this moving and colorful presentation. All are invited to watch this free performance which is located on the lush grounds in front of the Big Spring. The Town of Thermopolis has embraced this event and “Pageant Weekend” has become a favorite destination for locals and visitors. Besides the Pageant, other activities include the Pageant Parade, Craft Fair, 5/10K Pageant Run, Cowboy Church Services and other fun things to do! the Thermopolis Hot Springs Chamber of Commerce.